Who is Prairieland Barbershop Chorus? 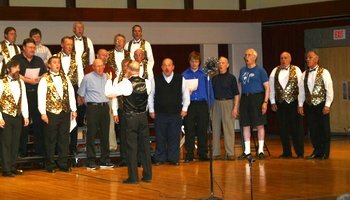 The Prairieland Barbershop Chorus is a chapter of the Barbershop Harmony Society. We are a small chorus made up of men from all over the Macomb area. The chorus sings songs from a variety of genres including traditional barbershop, country/western, doo-wop and more. We rehearse every Monday evening from 7pm-9pm, in the basement at the First Presbyterian Chruch, 400 E. Carroll St., Macomb, IL. Want the prairieland Barbershop chorus to sing at your next function? 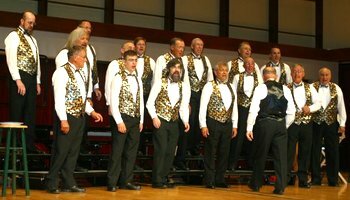 Why not hire the Prairieland Barbershop Chorus to entertain at your next event? We can perform at corporate functions, charity events, community Entertainment events, birthday parties, christmas parties, awards nights, engagements, anniversaries, and even funerals and memorial services.